The Studio's modern design and in-house party planner makes it the perfect spot for crafting celebrations and birthdays for folks of all ages! For the host, party day is often full of hard work and lots of stress, unless the party is at The Studio! Celebrations hosted here are stress-free from beginning to end. Keep your celebration as simple as crafts and coffee or work with Heather to plan a themed celebration. The Studio is perfect for baby and wedding showers with small guest lists, as we can host about 20 guests. The kid-friendly play area is the perfect compliment to a themed birthday party. From birthdays away from home for CGA/CMA students to retirements, crafting parties are loads of fun. Get pampered for your next birthday! 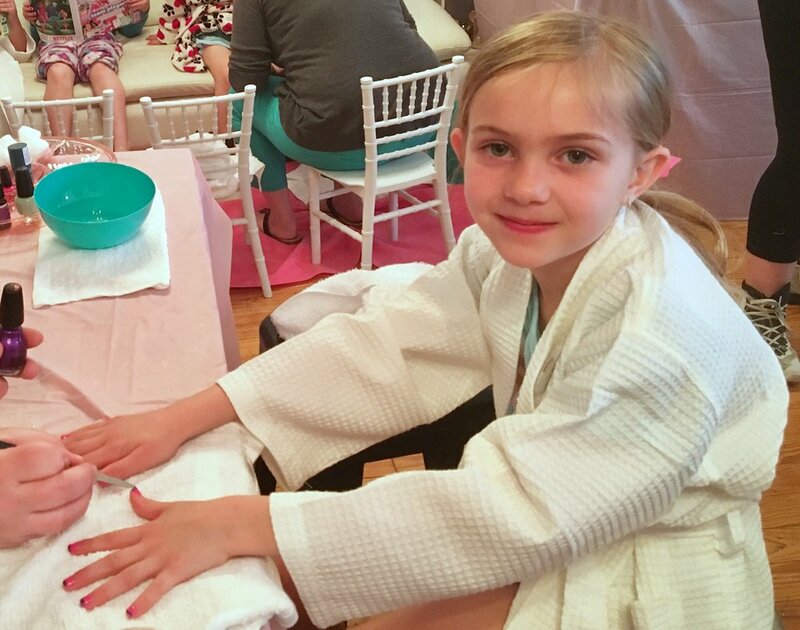 Enjoy a mani, pedi and facial in your white robe while sipping a (juice) cocktail and making DIY spa sandals and lip gloss! A truly magical birthday! You’ll make flower crowns, wands and a fairy lantern, go on a fairy treasure hunt, and have your own private dance party complete with garden themed decor and twinkling lights! You may even choose to have a special, magical guest show up!